Scaper’s CO2 Set is an ultra-compact CO2 injector that allows for connection to the Nano corner filter/corner filter XL. 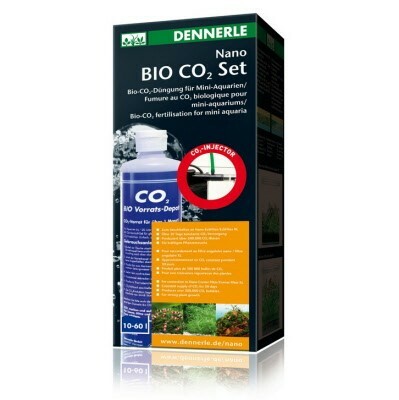 It provides a consistent CO2 supply for more than 30 days in a Nano Cube of 2.5 to 15.5 gallons. This set produces more than 300,000 CO2 bubbles. It includes fermentation control gel for consistently regulated CO2 production.